Electrostatic filters mostly preferred with their low energy consumption compared to the other filter types,low spare part costs and minimum maintenance requirement enable high efficiency by reducing operating costs. 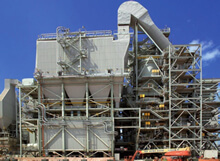 Electrofilters in which dust collection is carried out by putting not any block in front of dust are used effectively in the operations of dedusting of dusty gases which are of high heat and humidity. 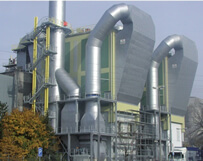 The principle in Electrofilters that are able to be established with a gas cooling tower according to the application is to charge dust and particles in gas electrostatically by means of corona processing occuring with high voltage applied between transmitting and collecting electrodes and to accumulate them on the collecting electrode plates.Electrofilters take an important place in the air pollution prevention systems by their high efficiency.